Two time winner of this event Dustin Johnson 8/1 must have a bit of a love hate relationship with Pebble Beach, he obviously loves the course going by his record at the AT&T, but who can forget his collapse in the 2010 US Open here when he lost out to Graeme McDowell when leading. 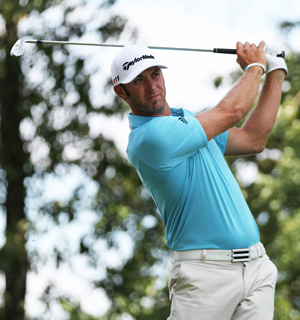 Going into the last round Dustin shot an 82, his worst round of golf as a professional. But a win this year and a weeks rest and I think Dustin will be in the mix come sunday. It’s hard not to stick with Brandt Snedeker 12/1 yet again this week, I always say with golf the odds are good so you should always bet each way with payouts being for a Top 5 spot with most bookies. We’ve tipped Brandt four times this year and he’s been in the Top 5 in three of those events and at these odds he still represents good value. 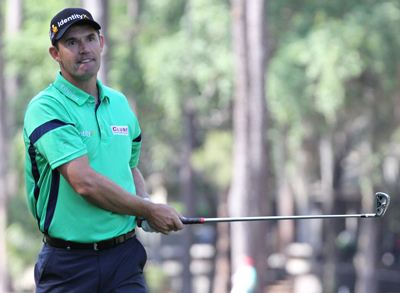 Padraig Harrington 25/1 has played three events so far this year, two on the European Tour and last weeks Waste Management Phoenix Open and he has made the Top 25 in each event and two have been Top 10 finishes. Padraig had a Top 10 finish here last year and used this event to launch his quest to capture the Masters, but unlike last year I think he could go into the Masters with a win under his belt. Another one of my tips from last week is Hunter Mahan 28/1 who is playing solid if not spectacular golf, making the Top 25 in each of the three events he has played in so far this year. Hunter was a runner up here in 2011 and made the Top 15 last year. He also seems to like winning early season events with both his wins last year coming in February and April. 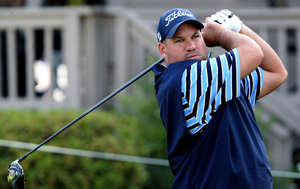 Brendon de Jonge 50/1 seems to be moving in the right direction, he has progressed up the leaderboard every week he’s teed it up so far this season. Culminating in a Top 10 finish at last weeks Waste Management Phoenix Open, where a final round of 66 saw the Zimbabwean coming into this week in confident mood. Brendon is still waiting to win his first PGA Tour event but last year he had eleven Top 25 finishes with four of those being in the Top 10 so hopefully it wont be long before he picks up that maiden win. I was surprised to see Rafael Cabrera-Bello 80/1 this far down the betting odds. I know he’s not played that much in the States and of the six events he played last year he didn’t make the Top 25 in any of them. But he has been in the Top 25 of all four European Tour events that he’s played in so far this season and Pebble beach isn’t your standard American type golf course, so I think the Spaniard could do well here this week.